With the demolition of 'The Jungle' refugee camp, Care4Calais and other NGOs are continuing to provide vital services to those who have been displaced. 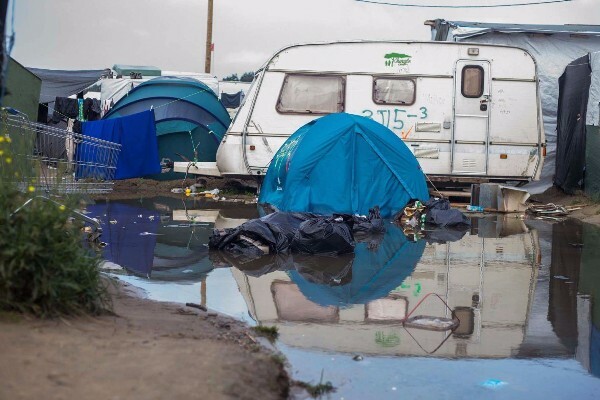 Having spent their Christmas break volunteering in Calais and at the Dunkirk refugee camp, Seán Byers and Amy Ward are continuing to raise funds to purchase much needed supplies and support the work of NGOs on the ground. They intend to return to Dunkirk in February, where there is a huge need for repair work on the makeshift (and often badly constructed) huts that have multiplied in recent months. There is also an urgent need for the restoration of the vitally important women's centre, which has been gutted by a fire recently. They are asking for people continue to donate so that the Dunkirk camp receives the direct support it needs to provide shelter for refugees on an ongoing basis.